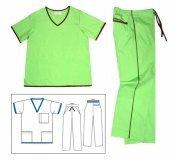 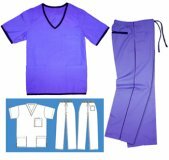 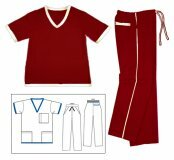 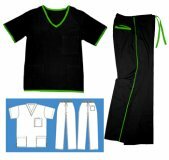 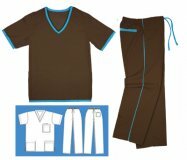 This set includes a V-Neck Contrast Trim Top and Pant. The top includes three front pockets - one by the chest with a pencil pocket, and two lower pockets. It also has set-in sleeves and side slits. 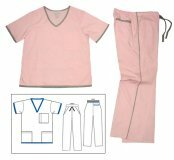 The pant features a back elastic waist with contrast drawstring front, two side pockets, contrast trim on pant legs and back pocket.